After escaping the Mirror World, Ilya and company are shocked with the personification of the 8th card breaks through. The group manages to escape as Luvia attempts to bury their opponent, but it breaks through easily, rising into the sky and creating a giant, sky sleigh that orbits overhead. Caren arrives, revealing she’s with the Church, another mage organization. Caren has put up a Bounded Field to keep the city residents asleep and keep folks out. Since this 8th card shows no signs of attacking and is lazily circling above, Bazett suggests they gets some rest while they can. As such, they break into Tatsuko’s beach hut, much to Ilya’s dismay. However, Luvia has left a large sum of cash to cover the damages and expenses. 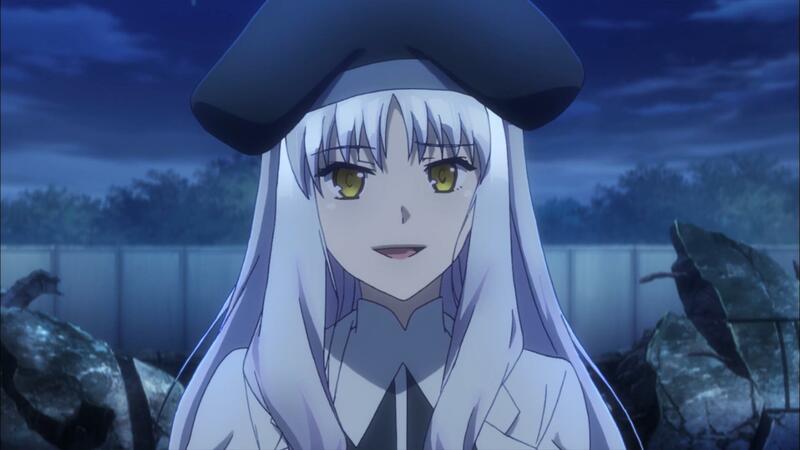 Kuro calls Ilya over for a mana snog session and to discuss how this 8th card referenced the Holy Grail. Caren notices that the card’s sky sleigh appears to be searching for something. They heard the card call for the Holy Grail and wonder if it being here has something to do with the Holy Grail War that ended ten years ago. Suddenly, the sleigh turns to Mt. Enzou, where the Holy Grail is supposed to be. Ilya and Miyu take to the skies to follow while the others follow on the ground in vehicles. The sleigh disappears after blasting a massive crater in Mt. 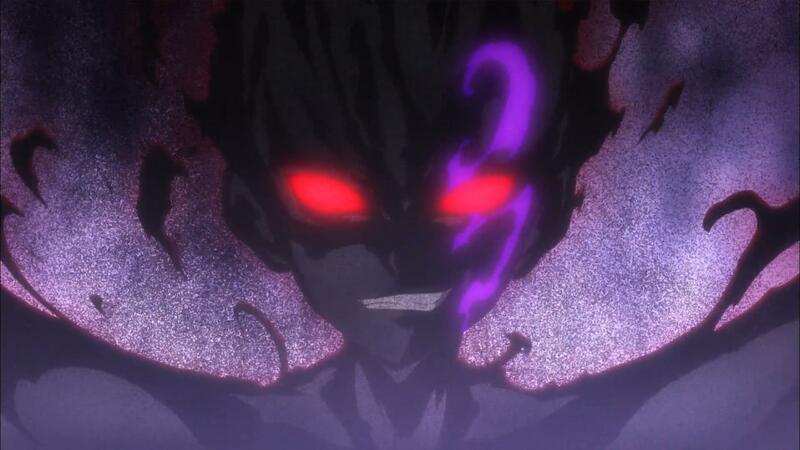 Enzou and the persona of the 8th card descends. 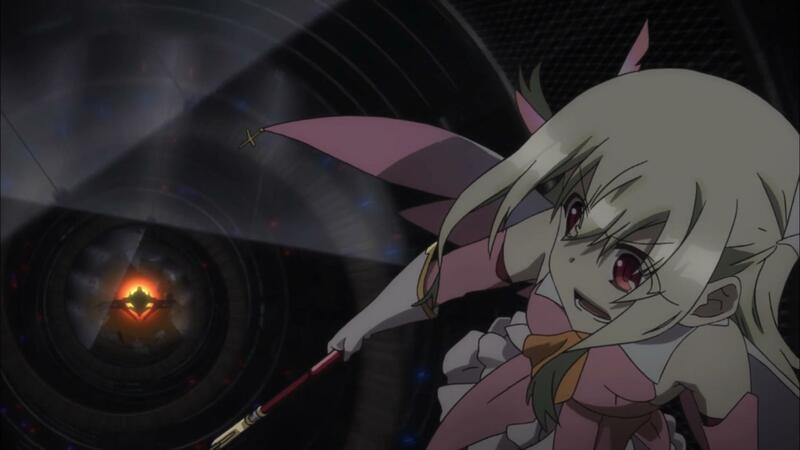 Ilya and Miyu decide to attack to get it off the massive magic circle. 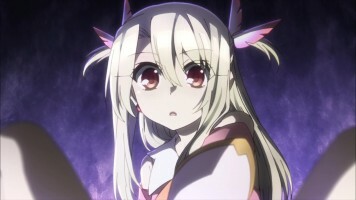 Ilya charges in on the second attack and is stunned to push someone out, who turns out to be a naked, blonde boy roughly her age. It was also convenient from a story perspective for the 8th card to suddenly discover Mt. Enzou and make a beeline for it. I’ve got to say that I was totally surprised when Ilya pushed the persona of the 8th card out of the magic circle that it turned out to be a blonde boy instead of the adult Gilgamesh. 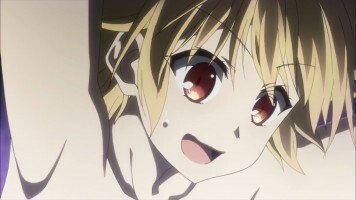 However, if there is to be a humanoid presence there, making Gilgamesh a boy works better than having him be an adult. I’m rather looking forward to seeing how that all goes. 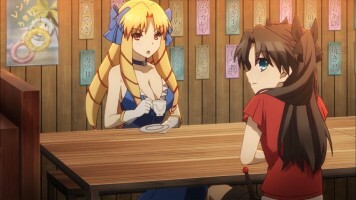 The discussion of the Holy Grail War and the current situation in the story was pretty interesting. 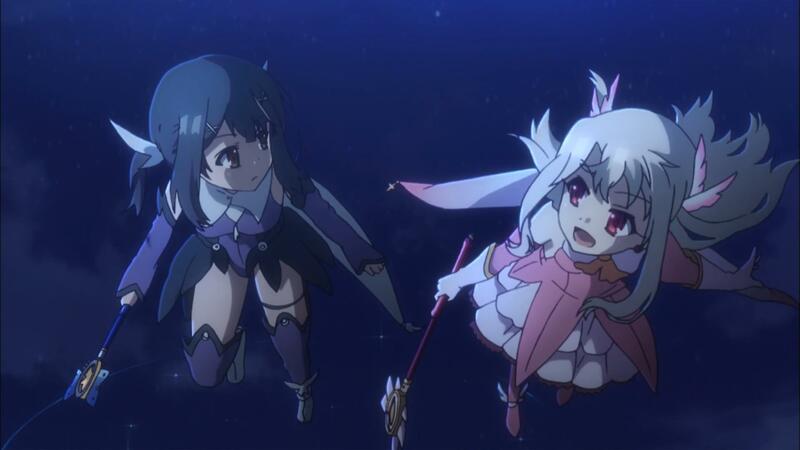 I’m looking forward to seeing how this all plays out and Miyu’s connection to everything. On the humor front, I admit to laughing when Ilya had the cliched “ochinchin” grabbing moment, not realizing what she had grabbed and was squeezing. Usually, it is some boy grabbing and accidentally groping a girl’s chest, so making it reversed wasn’t unexpected, but I still found it funny. 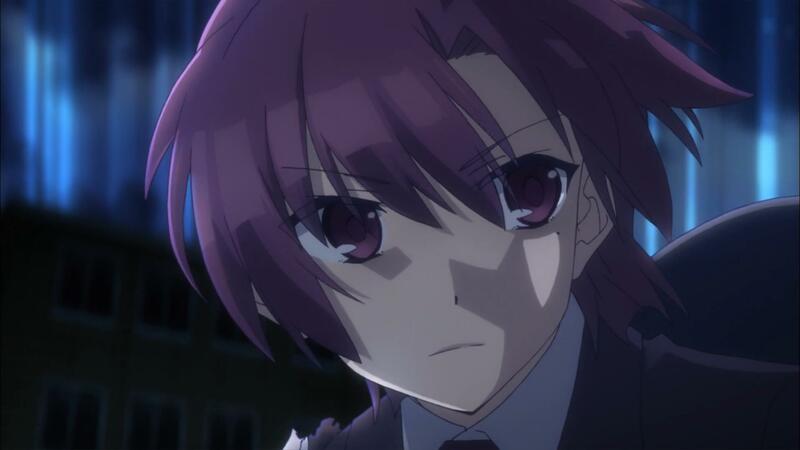 Caren’s twisted nature was also amusing, especially when she revealed that being the school nurse was a hobby because she loves seeing injured children. She’s already revealed this, but the way she did it this episode, combined with Kuro’s and Ilya’s reaction to it made the scene funny to me. If I had more time, I might be able to write more. As it is, I’m already way behind, and this week has seen me away from home for business (which is not a bad thing since the flight, hotel, and food are all free and top-notch stuff), and that has me VERY busy. Hopefully, I’ll be caught up by next week and things will calm down just a bit. 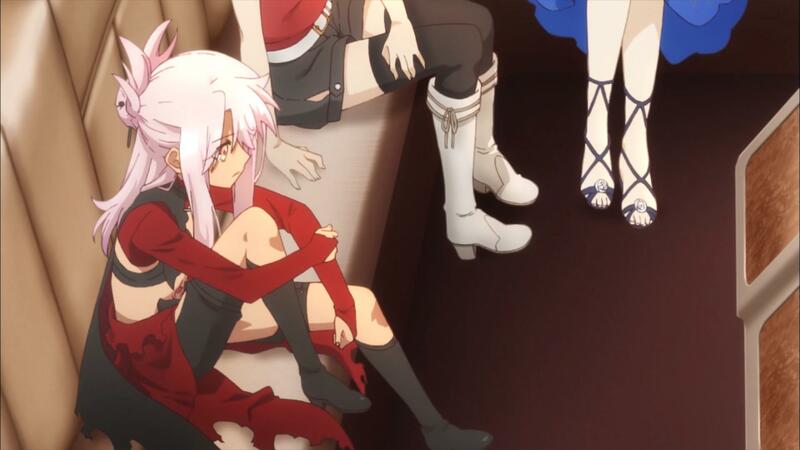 All that said, outside of the Kuro-Ilya snogging scene (serious, can we just not show that, and just indicate Kuro got a recharge? ), I enjoyed this episode a lot. 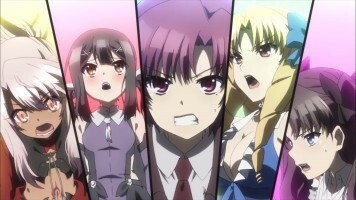 « Today’s Missing “UQ Holder” Review, Courtesy of Crunchyroll! , and the rocket was not created, it’s one of his treasures. I wrapped your spoiler comments in spoiler tags.